Coach Ralston Henry, Malik John (400m), BVIOC Pres Ephraim Penn, Keanu George (Young Change Maker), Cleave Farrington, Chef de Mission Buenos Aires 2018. 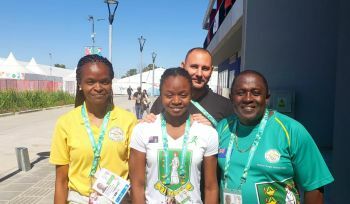 Photo: BVI Olympic Committee. Tracy Bardshaw, swimming chaperone, Elinah Phillip (50m fly & 50m free), Coach Benoit Grattepanche, BVIOC President Penn, at Buenos Aires 2018. 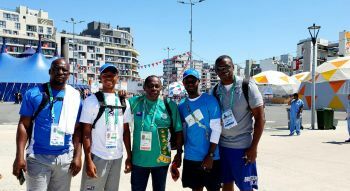 Photo: BVI Olympic Committee. ROAD TOWN, Tortola, VI – The 2018 Youth Olympic Games in Argentina is off to a massive start following the opening ceremony on the evening of Saturday, October 6th 2018 at the Obelisco de Buenos Aires. Representing the Virgin Islands, Swimmer, Elinah Phillip served as the official flag bearer and she was also the first of the two VI athletes to compete in the third edition of the Games when she swam in the 50m butterfly (fly) heats on Tuesday, October 9. Phillip who is 18-years-old planned to compete in the 50m and 100m Freestyle plus 50m Butterfly meanwhile 17-year-old Malik John who is also from the VI will be representing in track events. According to a press release from the BVI Olympic Committee dated October 9, 2018, swimming in heat 5, Phillip touched the wall in a non-advancing time of 28.65 placing her 28/36. Her PB and national record of 27.31 in the 50m fly was achieved just 10 days previously at the FINA Swimming World Cup 2018 in Eindhoven, Netherlands. According to the BVI Olympic Committee, the athletes continue to be fully immersed in the culture and experience of the Youth Olympic Games as they follow Youth Change Maker, Keanu George’s recommendations of activities to enjoy and international athletes to meet. Keanu George of Valley, Virgin Gorda is attending the YOG as one of the 80 Youth Change Makers (YCM) from across the globe. Nominated by the BVI Olympic Committee (BVIOC), George has been trained to facilitate the VI’s athletes’ participation in “learn & share” activities and encourage them to embrace the YOG spirit of Compete, Learn and Share. “There is a packed agenda of daily events and activities for the athletes to be a part of,” said Cleave Farrington, Chef de Mission, Buenos Aires 2018. “Working with Keanu, I try to ensure that Elinah and Malik make the most of their time at the Youth Olympic Games,” he said. “I am pleased to report that the athletes are definitely engaged and appreciating all that is on offer,” Farrington said. 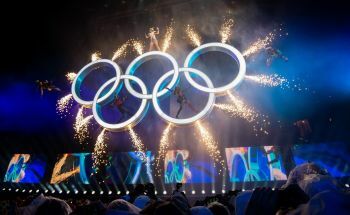 All events can be viewed live on the IOC Olympic Channel. Phillip’s next race is the heat 5 of 7 of the 50m free which will start at 10:30 am (9:30 am BVI time) on Thursday, October 11 while Malik John will also be competing on Thursday, October 11 when he runs in the 400m heats at 5. Excellent News! Thank God these athletes are mot competing at home or else there will be a deliberate plot to rob them of their positions and label them as not being "qualified".